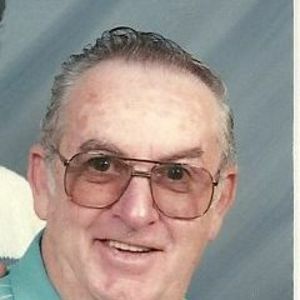 David Dunlap Obituary - Windsor, Pennsylvania - Burg Funeral Home, Inc.
WINDSOR David E. Dunlap entered into rest on Monday, April 16, 2012, at 6:10 a.m. at Manor Care Kingston at the age of 74. He was the husband of Donna M. (Boyd) Dunlap who entered into rest in November 2006. Born in Chanceford Twp. on February 6, 1938, he was the son of the late James H. and Pauline G. (Brown) Dunlap. He was a graduate of Red Lion High School Class of 1956. He worked for GA & FC Wagman for many years. A former member of the Laurel Fire Company #39 in Windsor, and the Yorkana Game and Gun Club, David enjoyed sitting by the river watching everything. He is survived by four sons, Lewis E. Dunlap of Yoe, David A. Dunlap of Windsor, Daniel W. Dunlap of York, and Mark J. Dunlap of Leola; five grandchildren, Kyle, Missi, Haley, Adam, and Derek; two great-grandchildren, Lexi and Kain; one brother, James H. Dunlap, Jr. of Felton; six sisters, Merle C. McLaughlin of Port Deposit, Md., Betty P. Kurtz of York, Anna C. Boyd of Windsor, Lois A. Bastress of York, Mary Lou Woolen of New Mexico, and Shirley M. Shenberger of York; and numerous nieces and nephews. He was preceded in death by five brothers and one sister. Viewing will be from 6 to 7 p.m. Thursday at Burg Funeral Home, Inc., 134 W. Broadway, Red Lion. The service will be 7 p.m. Thursday at the funeral home with the Rev. Craig A. Newton, retired U.M. Pastor, officiating. Burial will be in Salem Community Cemetery at the convenience of the family. In lieu of flowers, contributions may be offered to Laurel Fire Company #39, 94 Schoolhouse Lane, Windsor, PA 17366. 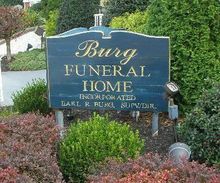 It has been requested by the family that those attending the funeral service please dress casual.